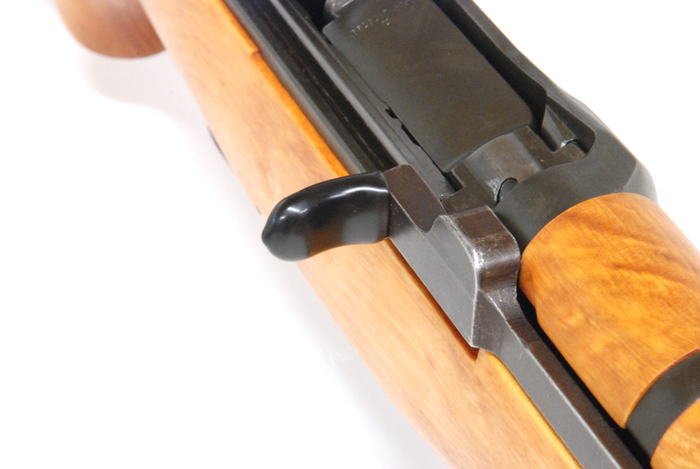 This vinyl end cap will help prevent your M1 Garand from damaging other surfaces when in storage or transport. The operating rod end cap is a great way to prevent your M1 Garand from damaging other rifles or soft surfaces that the handle may come in contact with. Due to its design its very easy for the operating rod handle to ding surfaces that it comes in contact with. The most common damage occurs to other rifles that are adjacent to the M1 when in storage or transport.